Ryze Tello 2: What Can We Expect To See from Ryze, DJI and Intel? The Ryze Tello was a game-changing drone in a few ways. Right now it is possibly the best drone you can buy for less than $100. It is incredibly stable and with electronic image stabilization and a 5 MP camera you can get pretty darn good pictures and video for the price. With the Tello, Ryze left the other toy makers scrambling to keep up but we don’t think that Ryze and DJI are done with the Tello yet. We are pretty sure that you need more than one drone for a “series”. There are a few reasons why we believe the successor to the Tello is already under construction. The first is DJI’s website. If you click for more information on the Tello you’ll see that the URL indicates a “tello-series”. To us, that means there are plans for more. One drone is hardly a series. Will the Tello 2 be more like the DJI Spark? Ryze and DJI left a few things off the Tello that would make it an even better drone and we think people would be willing to “upgrade” to the Tello 2 to get these changes. The first is the ability to record video on an SD card on the drone. What would be even simpler? How about 8GB of built-in memory like the DJI Mavic Air? Either way, onboard memory will dramatically improve the quality of recorded video and photos. This is the easiest change for Ryze to implement and it will have the greatest impact on the value of the Tello 2. The Parrot Mambo has onboard recording, the Tello 2 will too. Take a look at the Parrot Mambo with the FPV camera attached. The next improvement would be the addition of an optional remote control. We want more than the option for a Bluetooth remote, but rather a proper 2.4 GHz remote. That would give the Tello more range and better feel. Sure you can extend the range of your Tello for less than $15 with this inexpensive WiFi extender, but a dedicated remote would be better. Learn how to extend the range here. The WiFi extender is one way to get your Tello more range, but wouldn’t it be nice if you didn’t have to use it? Alternatively, the Tello 2 will include a low power sleep mode. This may add a second or two to the launch sequence but it will keep the Tello from powering off until it cools down due to overheating. External flow can cool internal electronics without exposing them to the elements. The brushed motors on the Tello are nice, but we’d prefer brushless if possible. The current Tello has brushed motors. Brushless motors are more powerful and more efficient. Sure we’d gladly welcome the addition of brushless motors. However, we know that that would significantly affect the cost of the build. The other problem with powerful brushless motors is that they are not quite as beginner-safe as the brushless motors that are on the current Tello. Maybe there will be a Tello PRO with brushless motors…and GPS. Ryze did a lot right with the first Tello’s camera. The inclusion of a wide-angle view high-speed mode is huge for flying FPV (first person view) with goggles. The problem with the Tello is that the camera is tilted down a bit. That’s great for nice pictures but not so great for FPV. A camera with some upward tilt is much better for FPV. A tilting camera, like the one on the Zerotech Dobby, will allow not only for better FPV flight, but it will also allow for downward-looking images that you can’t get with a fixed-angle lens. As you can see, the Dobby has an adjustable angle camera. Another camera upgrade will be a 12 MP camera. Of course, 1080 video doesn’t hurt either. Can they upgrade the camera and keep the price of the Tello reasonable? We hope so. The Breeze, Dobby and Spark are all solid inexpensive GPS drones. Will the Tello 2 or Tello PRO have GPS too? Of course, we’d love to see GPS on this little quadcopter, but like brushless motors, this will also drive up the price. 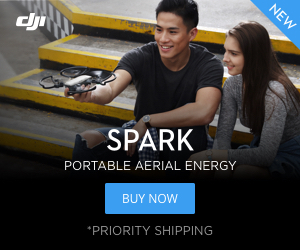 DJI isn’t going to allow the Tello to get to advanced or it will start eating into the sales of their Spark. But maybe, just maybe, we could get a $199 version with brushless motors and GPS. That would be an awesome beginner drone. So What Will the Tello 2 Really Include? We think onboard memory and a tiltable camera are inevitable. We also expect Ryze to solve the overheating problem and allow for an option with a better remote control signal for better range. We believe that brushless motors are less likely and GPS very unlikely. We will more likely see DJI make a downgraded Spark Standard than see Ryze make a GPS drone. We expect DJI and Ryze to maintain the Tello as the beginner drone for everyone and attempt to keep the price at $150 or less. Should You Wait for the Tello 2? Right now we wouldn’t suggest waiting. The is no real timetable or guarantee that these things will come to fruition. We love the original Tello and definitely recommend picking one up if you haven’t already. The original Tello really is a marvel of engineering for less than $100. The electronically-stabilized camera on the original Tello is arguably best-in-class. Check our full review of the Tello or our video review below. If you are looking for better features then we’d suggest taking a look at these drones under $200. The Zerotech Dobby and Yuneec Breeze come pretty close to what we want the Tello 2 to be. Read more about the best drones under $200 HERE. If you don’t want to compromise video quality then you’ll need a drone with a mechanical gimbal. The DJI Spark is the best option out there if you are on a budget. Checking in under $400, the Spark isn’t cheap but is a heck of a little drone. However, the Spark is no match for its smaller but more advanced sibling, the Mavic Air. The Mavic Air is an unparalleled aerial photography drone in terms of size, capabilities, and price. The Tello 2 won’t be able to compete with it. 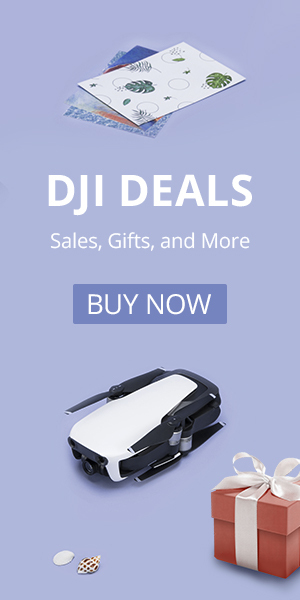 Skip the Tello 2, go for the Mavic Air here. i can why dji would not want the tellos new version to be to advance, because of the spark , but Dji not everyone can afford the spark , but a 200 to 300 price range for a better tello i will upgrade too , but you all are making plenty of money with your other drones , and there is no reason to cheap a fie a new tello version , yes i have a spark now , but i was vary able to afford it . my roommate had to help me out a little in getting it . and plz sometime work on some better battery tech for the Spark. because the 16 mins in real world testing is not enough , the Spark vary gets 14 mins let along 16 mins. so plz stop making all the nice one so expensive , since not all of us have elite status jobs and careers. there’s are many of us on fixed income , so we should have the same fun in fly drones as everyone else does!